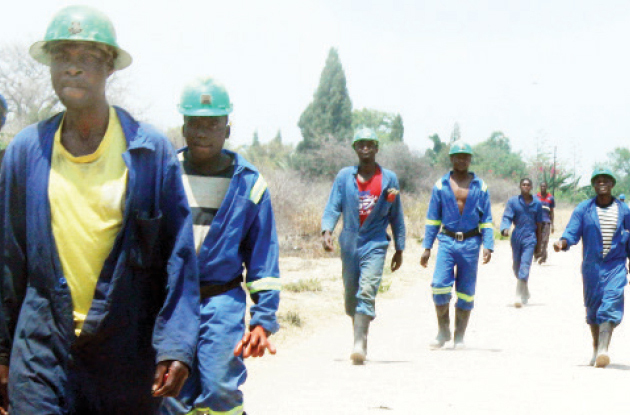 MORE than 200 workers at Old Nic Mine in Killarney, Bulawayo have been sent home amid indications that more mines are facing closure following the directive by Zesa to reduce their power consumption by 25 percent. Olympus Golden Mines Limited, which owns Old Nic Mine, Golden Quarry Mine in Shurugwi, Venice Mine in Kadoma and Turk Mine in Inyathi, announced on Monday that it was sending all the workers at the Bulawayo mine on unpaid leave. It said it had placed the mine under care and maintenance. When The Chronicle visited the mine yesterday, it was deserted, with only security guards manning the gate and a few workers who were collecting their belongings. Workers who spoke on condition of anonymity said the management was in Shurugwi to deliver the same message to the Golden Quarry Mine workers. In a letter dated October 26, 2015 and addressed to the works council, the mining company’s chief executive officer, Ian Saunders indicated that Old Nic Mine had been put under extreme operating pressure in the last two months. “In the last two months or so, two issues have come to the fore that have put the mine under extreme operating pressure. The first was the directive from Zesa that all mines should reduce their power consumption by 25 percent and second was the tragic accident in the shaft at Old Nic,” reads part of the letter. “In order to break even, Old Nic needs to produce approximately 2,5 kilogrammes per week but it has been failing to meet the target. Management is left with no alternative but to advise that with immediate effect, Old Nic Mine has been placed on care and maintenance and all workers are with immediate effect on unpaid leave,” said Saunders. He said the company, both directly and through the Chamber of Mines of Zimbabwe, had requested for relief from both the government and Zesa, in terms of the cost of electricity and the royalties paid but got no joy. Saunders said the mine had incurred losses for the past year adding that the shaft that was shut down following last month’s accident will remain shut. “The company has consistently made losses in the last 12 months as the production increases were offset by a continuing fall in gold prices. As workers are aware, the shaft remains shut, and as such, the underground production is less than half of what’s required as per the operation plan,” said Saunders. In the last two weeks, Saunders said, management had been looking at a number of operating plans to see if some modified operating plan could be followed while the repairs of the shaft are made for normal production to resume. “Unfortunately, based on the grade underground, the fixed costs base, the continued high costs of power, and other taxes, there is no reduced operation plan that would allow the mine to operate on a break-even basis, pending the repair of the shaft and the resumption of operations,” said Saunders. Saunders said management could not say for how long the workers would be on unpaid leave as the mines inspectors had not given them the green light to open the closed shaft.